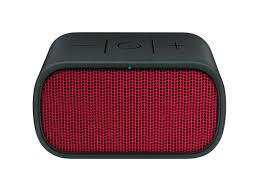 These fun and funky speakers come in a choice of bright colour combinations are light in weight at just 300 grams. 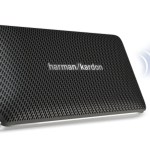 As the name suggest they are compact in size measuring just over 11cms across but they generate a loud and crystal clear sound up to 86 decibels. The rechargeable battery gives approx 10 hours of use and they can stream music wirelessly from your smartphone or from another Bluetooth enabled device from 50 feet away. Fantastic value and ideal for when you’re out and about. 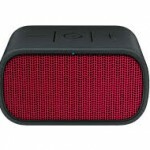 If you’re after something rugged which can survive a bit of rain, dust and dirt then these speakers fit the bill. 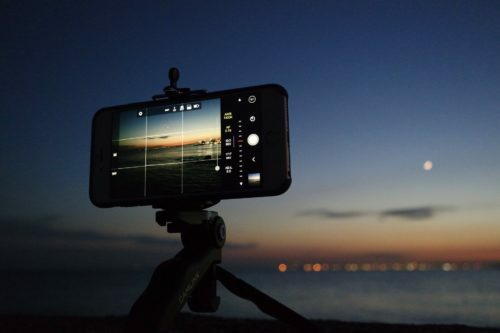 Perfect for camping, festivals and trips to the beach, the TDK Trek Flex is both dust, water and shock resistant and boasts a cylindrical design. 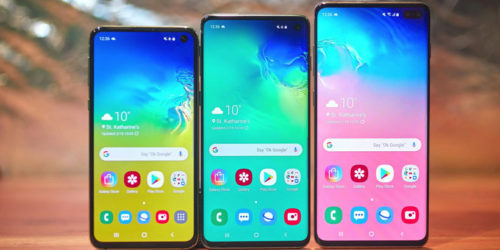 With 360-degrees of sound and a big bass, you can use the speakers vertically or horizontally and change tracks using a built-in button so you can keep your smartphone safe from the elements. 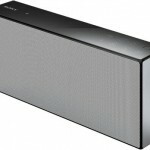 Very powerful and stylish speakers in a mini package. At around 230 grams and the size of a smartphone, these are ideal for travelling or taking with you on a weekend away. 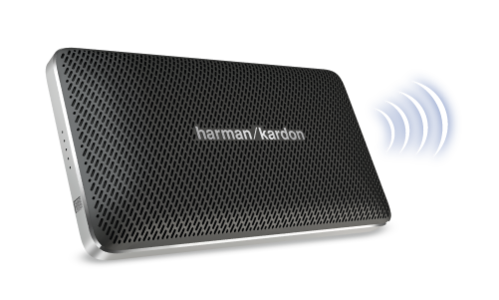 With a great and rich sound quality, the Harmon Kardon Esquire Mini speakers can be used via Bluetooth or by plugging in a 3.5mm cable. 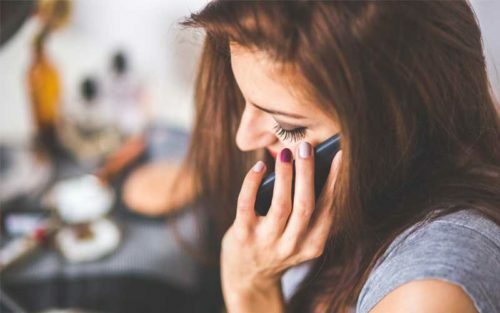 As well as playing your tunes, you can also use the phone button to answer calls and it can very handily charge up your smartphone. 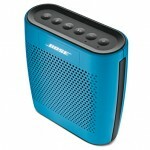 Fantastic compact and portable speakers from Bose without a huge price tag. 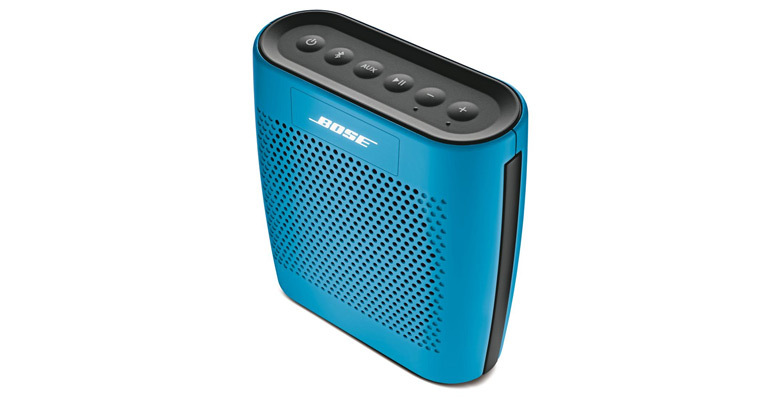 Available in a selection of vibrant colours, the Bose Soundlink Colour Bluetooth speakers weighs 500 grams and provides around 8 hours of use per charge. Offering superb sound quality and clarity as you would expect from the Bose brand, these are great value and can be hooked up to non-Bluetooth devices too thanks to the 3.5mm jack on the rear. 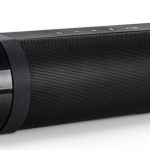 These superb premium speakers connect using Bluetooth, Wi-Fi or Airplay streaming music from your smartphone, tablet or PC. 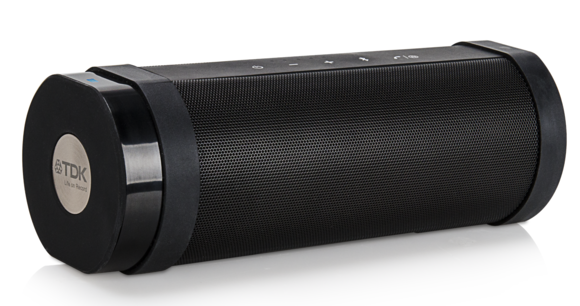 With sleek styling and a powerful 40 watt output, they come with a built-in woofer for an enhanced bass and 3-way speakers. Other great features include a Digital Sound Enhancement Engine and ClearAudio+ for top notch clarity. 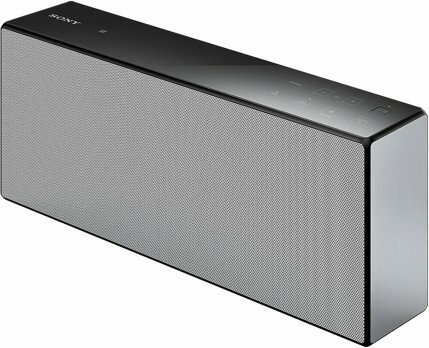 You can also set these Sony speakers up for multi-room listening using the SongPal app.